Kristi Mraz and Marjorie Martinelli are literacy consultants with the Teachers College Reading and Writing Project. They work in schools from New York City, to California, to Romania! Both were K-2 teachers for many years before joining the project! It is Monday – hope everyone is okay. We are missing your posts! Thank you for your concern. We were with family and friends ( a wedding and a trip out west) that caused a slight disruption to our usual routines. But we are back and looking forward to hearing your ongoing feedback. Where are teachers finding the sticky notes shaped like talking bubbles? I’ve never seen them in a store, and the big box office stores don’t carry them online. Would love to get some for my first grade classroom. Thanks for all your great ideas! I am especially pleased that you show charts for a variety of grade levels, and that you clearly state the grade levels for the charts. My classroom is looking great, thanks to you! I’ve found these talk bubble post-its at Target, Staples, and Office Depot in the past. Is there a way to send you some charts in case you’d like to post? Just finished TCRWP training today; the presenter gave told us about your Blog and WOW! I can not move away from my computer. THANK YOU! 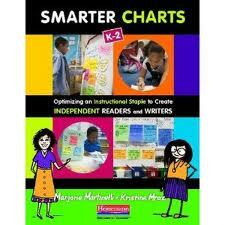 Stay tuned and let us know what you do to make charts effective and productive for your students. I tried to email you but the address listed in your post “Live from New York” does not work, even when you change the period to a @ symbol. Can you repost your email address or share how to share images with your web site? thanks! I’d love to see the full chart for glitch/bummer/disaster. This is a real issue in my class this year and I think we would really benefit from this chart to reference! Hi, It would be great to know in advance when you will be presenting in Europe. i live in Copenhagen, Denmark and would have loved to attend the event in Gothenburg, Sweden. I imagine you had some teachers from the international school of Gothenburg, but international schools are all over Europe and teachers would come from far and near for PD in English. I’m retired now and hope to hear that you will be back in Europe, but in the meantime, I’ll spread the word. Thanks for this post on Gothenburg. PJ in DK. I just read your post about teaching the reading strategies unit with a Star Wars theme. I absolutely love that idea and I am definitely going to try it out with my kiddos. I am trying to figure out how you made the talking yoda video. Did you have to purchase special software or were you able to do it online somehow? My future yoda masters would get such a kick out of a video like that. Please add me to daily blog updates. Can you please tell me the font used in the header in your book Smarter Charts? Que elemento mas bajo… ese que grita indecencias, apoyando un regimen tiranico, pero desde su comoda Democracia que ya tiene mas de 33 anos y les permite ser hasta tan vulgares en sus &#;3;consignas&#399!. Bravo por los jovenes que Caminaron por Cuba! ellos gritaban algo civico y razonable: Libertad y Democracia! algo justo!. Hi! Just exploring… looking forward to reading all posts! Your blog posts are incredibly helpful! I would like to include pictures of some of your charts, with links to the associated posts, in a roundup (pdf, possibly a blog post) of ideas for scaffolding language development/instruction for English learners. What is the best way to contact you regarding this?